Main Event Entertainment, based in Dallas is the fastest-growing bowling-anchored entertainment center in America and they're currently running a promotion called "Come to Eat, Stay to Play FREE." 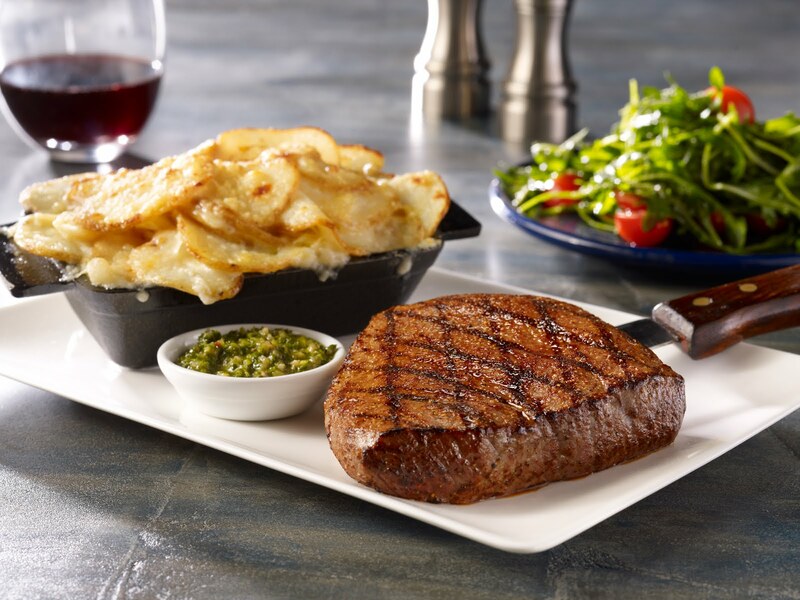 The limited time offer runs through May 20 and along with the promotion, they're introducing a new culinary menu that features 50 chef-inspired handcrafted items. All day, every day, guests receive a free $10 FUNcard, valid for game play, with every entree purchased from a select menu. Some of the dishes you'll find on the limited-time menu are Skillet Mac & Cheese, loaded with smoked chicken and applewood-smoked bacon layered with melted cheeses, Grilled Salmon, lightly drizzled with olive oil over a bed of roasted red peppers, artichokes, mushrooms and onions and Chimichurri Steak, char-grilled and served with au gratin potatoes. In addition to the limited time only offer, Main Event’s extensive new chef-inspired menu features unique twists on family favorites like Chicken & Waffles with candied pecans and green onions served with chipotle maple syrup; shareable items like BBQ Brisket Street Tacos; fresh, made-to-order salads with premium ingredients, like the Classic Cobb salad featuring grilled chicken, applewood-smoked bacon, blue cheese crumbles, avocado, egg and tomatoes; “handhelds” including sandwiches, sliders and burgers with fresh ingredients and innovative flavors; and specialty pizzas with hand-chopped ingredients, fresh tomato and herb sauce and 100 percent real cheeses. A full bar serves innovative cocktails that include the Main Event Breeze, Long Island Mango Peach Tea, Tennessee Honey Smash and specialty margaritas, plus domestic, local and craft beers on tap and premium wines. 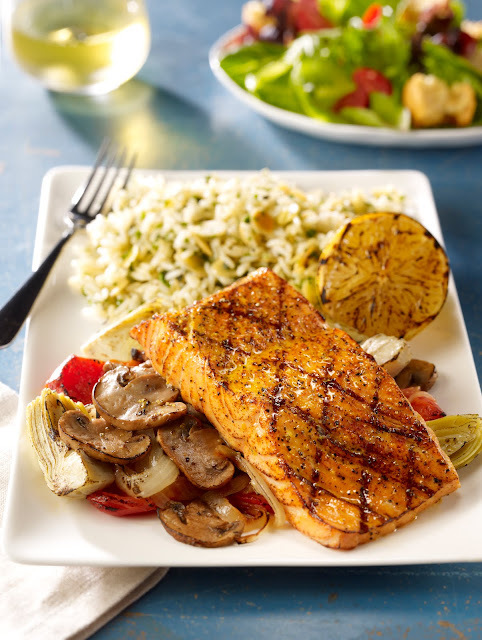 Leave a comment on this blog post and let us know what menu item you'd most like to try. Share this blog post on one of your social media channels. Like Chicago Foodie Sisters on Facebook. Like and Comment on the post about this giveaway on Facebook. Follow Chicago Foodie Sisters on Instagram. Please also send a direct message on the Chicago Foodie Sisters page with your email and phone number so that we can reach you if you are a winner. Your information will not be shared with any third parties. The contest ends on Monday, May 2nd at 11:59 p.m. CST. For additional details, center locations and hours, visit www.mainevent.com. Founded in 1998, Dallas-based Main Event Entertainment is a rapidly growing subsidiary of Ardent Leisure Group (ASX: AAD) of Australia, with 25 U.S. entertainment centers ranging from 48,000-75,000 square feet. Main Event is the pioneer in bowling-anchored entertainment and offers state-of-the-art bowling, multi-level laser tag, high ropes adventure courses, billiards, and 100+ interactive and virtual video games, plus new chef-inspired dining and a premium full bar. Main Event is also a popular venue for private events such as birthday parties, social gatherings and corporate meetings, offering private rooms equipped with the latest A/V technology and full-service catering. Corporations, individuals and families consistently rank the centers “Best Place to Bowl” and “Best Party Place.” More information is available at mainevent.com. 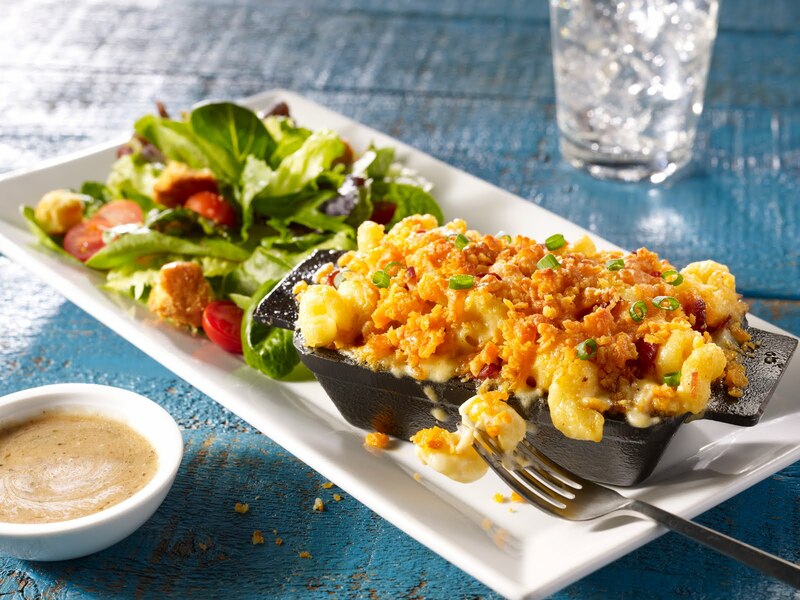 The Skillet Mac & Cheese looks ahmaaaaaazing! Yum!! Commented, followed & shared. Once you've taken in the unique décor at this place, the hardest part is to decide whether to go upstairs or downstairs. With a large open floor plan, you'll find bars on both levels, and at event venues Chicago someone will always come by to serve you matter where you decide to hang out.